Welcome to our New eHome! | Far Post Soccer Club, Inc. Welcome to our New eHome! Far Post is delighted to launch brand new website for its families. We've been listening and recognized a need for improvement in our online presence. Simply put, a top, professionally-run, premier youth club of our stature needs a professional website to match it. We now have it. You will find that navigation has been streamlined, our incredible staff and coaches are now highlighted, and the answers to many of the questions you have are now readily available. Our new eHome will continue to improve and develop over time, but is ready for your use. 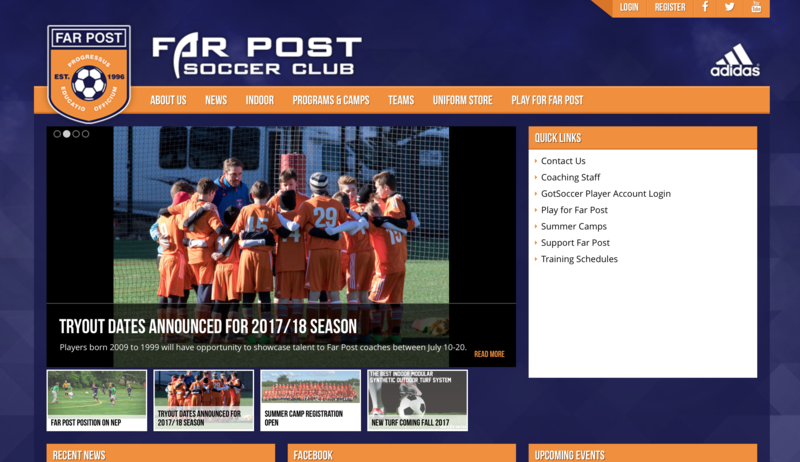 Enjoy, and please send any feedback to admin@farpostsoccerclub.com so that we can continue to improve our brand and home.